Whether you plan to mountain bike, hike, golf, kayak, play tennis or relax by the pool, ensure you have the right clothing and other accessories to be comfortable in the varying mountain temperatures we experience in the Lake Tahoe area. Tip: Be sure to pack extra layers of clothing to accommodate for the mountain climate. The weather can change quickly! For your convenience, Northstar Resort offers mountain bike and golf club rentals, for more information, visit NorthstarCalifornia.com. Your accommodations will be prepared upon arrival with towels, linens, hairdryer, iron and ironing board, bath soap, shampoo, conditioner, paper towels, facial and bath tissue. Kitchens will be stocked with dish soap, dish washer detergent, dish towels, trash bags, utensils, cutlery, plate settings, glassware, basic pots and pans, toaster, and a coffee machine. Sleeping mats, extra linens, and some baby items provided in designated condos. All units have a TV & DVD player, and CD player in the living area. 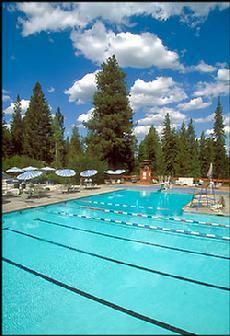 All Lake Tahoe Mountain Vacation units are equipped with free wireless internet access. Laundry facilities will be available either inside the unit or in the same building, but laundry detergent is not provided. Your unit will be equipped with a direct dial phone, unlimited local calls only. The Village Swim & Fitness Center has 24 hour access to the Village pool & hot tub, full gym and pool table for Village at Northstar guests. There are two additional gyms with two hot tubs and full shower rooms with steam showers in Catamount & Iron Horse South. NPOA Recreation Center has pools, splash pad, hot tubs, snack bar, full gym, tennis courts, basketball, bocci ball, arcade, grassy picnic area, and playground for family Summer fun as well as tennis & swim lessons and massage services. Available to Ski Trails guests.